The Pixhawk 4 Mini is designed for engineers and hobbyists who are looking to tap into the power of Pixhawk 4, but are working with smaller autonomous vehicles. 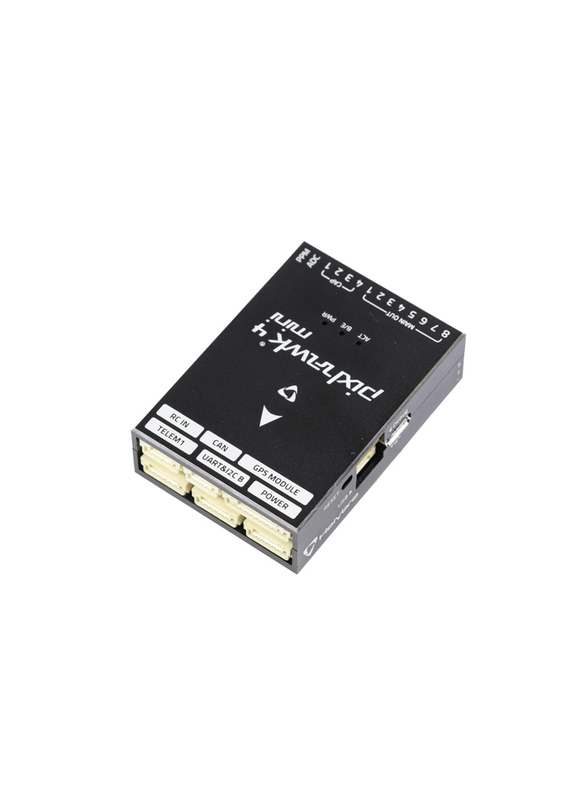 The Mini also takes the FMU processor and memory resources from the Pixhawk 4 while eliminating interfaces that are normally unused. This allows the flight controller to be small enough to fit in a 250mm racer drone. It's a very capable autopilot for a range of vehicle types including multirotors, planes, helicopters, VTOL aircraft, and even ground based rovers. The Pixhawk 4 Mini's microcontroller has a 2MB flash memory and 512KB RAM. With the increased power and RAM resources, developers can be more productive and efficient with their development work. More complex algorithms and models can be implemented on the autopilot. The high-performance, low-noise IMUs on board are designed for stabilization applications. Data-ready signals from all sensors are routed to separate interrupt and timer capture pins on the autopilot, permitting precise time-stamping of sensor data. Newly designed vibration isolations enables more accurate readings, allowing vehicles to reach better overall flight performances. 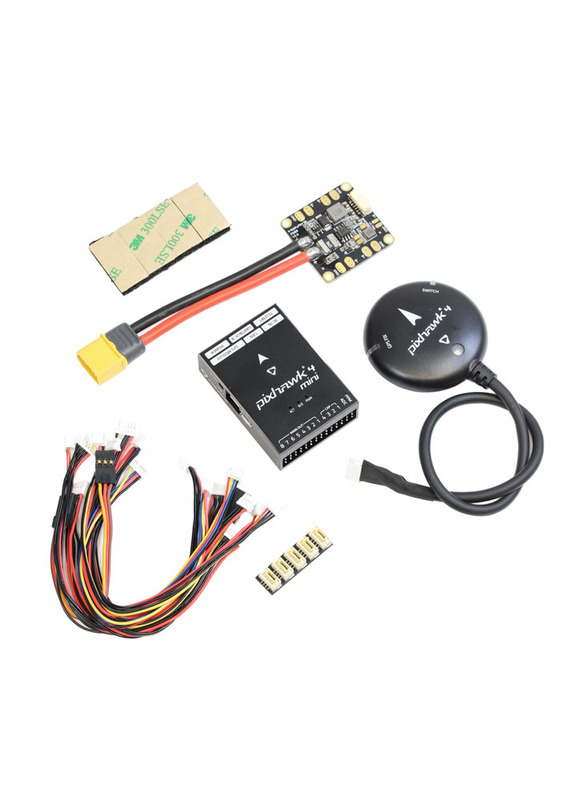 This is the Combo version of the Pixhawk 4 Mini, so it includes both the M8N GPS Module and Power Board. Pixhawk 4 Mini Wiring Quick Start Guide - HERE. Groundstation: QGroundControl - You can use QGroundControl to load firmware onto the Pixhawk 4 Mini, setup the vehicle, change different parameters, get real-time flight information and create and execute fully autonomous missions.